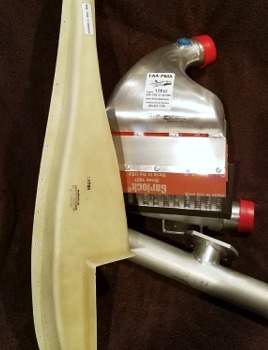 Intercooler Products From Turboplus Aircraft Systems Inc.
Turboplus was the first company to introduce “Intercooling” for general aviation single and twin engine turbocharged airplanes in the early 1980’s. There are 1000’s of Turboplus intercooler equipped aircraft in use today, including Cessna T206, T207, T210, P210, Piper Turbo Arrow, Piper Seneca II and Piper Seneca III, Piper Lance and Piper Saratoga, Mooney M20K 231 and Beechcraft A/B 36 series. Turboplus has been selling intercooler kits, induction systems and pressurized magneto kits since the mid 1980’s. We continue to manufacture one of the finest intercooler systems available for general aviation and private pilots. We are the ONLY company to provide 24/7 customer support. We guarantee AOG same day shipping when it’s necessary to resolve any issue with a Turboplus product. Pilots, FBO’s, Engine Shops and Corporate Aircraft owners businesses shop here first because we continue to make each aircraft owner feel “confident” they will receive the excellent customer support they did the day they took their first flight in their Turboplus equipped airplane. Turboplus Aircraft Systems, Inc. will ship your order to your home, business or any FBO shop of your choosing. Don't fly to us when we can ship to you. Our core manufacturer has over sixty years experience in developing heat exchangers for the U.S. military, aerospace, department of defense and transport vehicles. Pioneers in the design and manufacture of heat exchangers using vacuum brazing. The tradition of innovation and invention continues on a daily basis. Experienced design engineers utilize proprietary analysis software to optimize the heat transfer solution. Turboplus provides MAXIMUM Engine and Turbocharger COOLING BENEFITS using high-pressure ambient air through Turboplus Intercooler custom designed NACA ducts and inlet plenums. Turboplus has designed the ONLY induction system that replaces the Piper, Cessna and Beechcraft factory manual alternate door operation. Installed with each Turboplus induction plenum is our FAA certified Automatic Alternate Air Door assembly. Turboplus continues to lead the industry in single and twin engine intercooler and induction system installations. Same H.P. with reduced M.P. More Take-Off Power on Hot Days. Reduce Cylinder Head and Oil temperatures. Extended Range and Extend Engine Life. 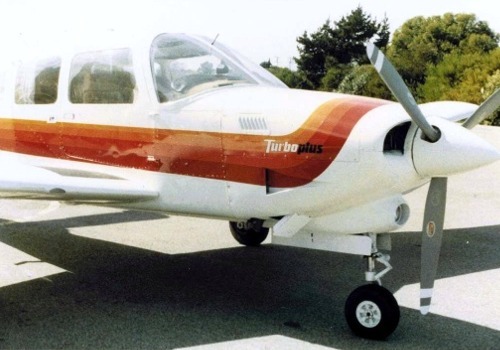 Turboplus worked for many years to design and certify a high-performance engine package for your aircraft model. Turboplus was granted multiple Supplemental Type Certificates to upgrade many Continental TSIO-360 and LTSIO-360 engines to the 220HP operating limits of the Continental TSIO-360KB engine. 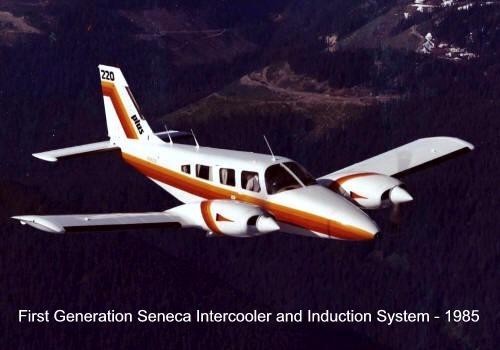 We are certified to install Continental TSIO-360KB engines in your Seneca II. The Piper Arrow has similar engine benefits. Please visit your aircraft model page for all Turboplus products available to enhance your airplane performance. Join the Turboplus family today. From 200hp to the 220HP Operating Limits. 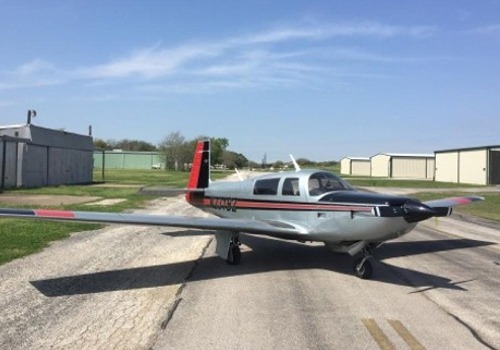 Visit our Piper Turbo Arrow and Piper Seneca II pages for additional information. 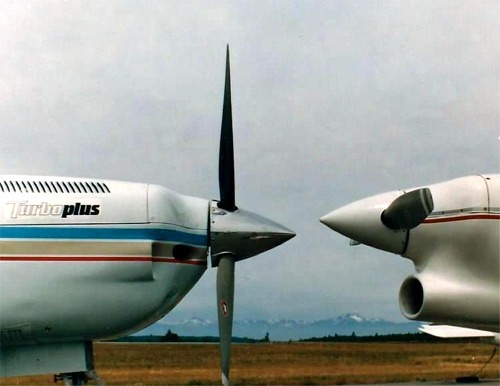 Turboplus was granted multiple STC’s and became the first general aviation aftermarket company to manufacture and market Pressurized Magneto System for TSIO360 and TSIO-520 engines. The system eliminates high altitude misfiring which was a great concern to pilots and engine operations. Turboplus is consider the leader in Pressurized Magneto System design, product reliability and customer support. The redesigned Lower Cowling Provides Ram Air for the Intercooler, New Induction System and Oil Cooler. We are the industry leader for Piper Lance and Piper Saratoga intercooler systems. The Turboplus high efficient Intercooler design with their New Aerodynamic Lower Cowling offers up to 14 Kts improvement with Same Fuel Flow. Increase Continuous HP to 294 (was 270). 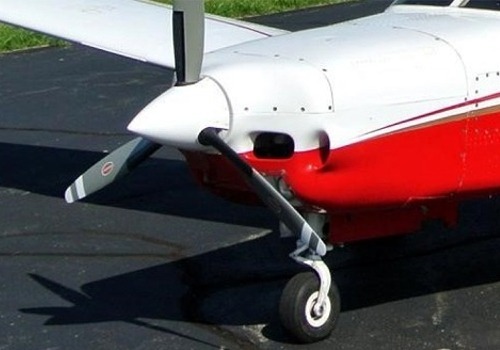 Turboplus offers the only Piper Lance and Piper Saratoga owners a new lower cowling with an intercooler system. Turboplus Aircraft Systems, Inc. uses only the highest quality filter elements available for general aviation turbocharged airplanes. Our dual stage filter element increases dust holding capacity and the treated foam is highly efficient at filtering. Purchase our filter elements and keep as spares since they have a four-year unopened shelf life. Visit your aircraft model page for more information about our products. 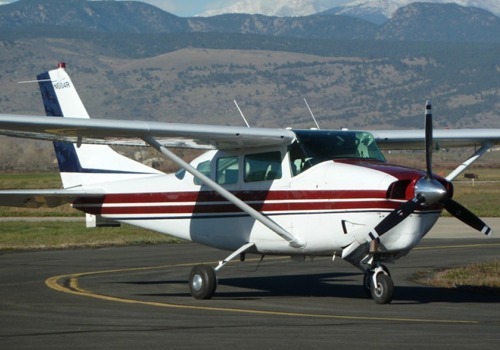 We promise to enhance every flight with the installation of one of our intercooler kits, induction systems, pressurized magneto systems or 220HP engine upgrades. We support Continental TSIO-360 and TSIO-520 series engines. We continue to improve our worldwide customer base with a 24/7 live service center.